There's a clip at the front and the rear, and the middle is pushed down in a groove along the length of the car. Is the clip relatively easily removable? Or is it the type that nearly or does break at every removal? Not sure if the clip would break, because if what I think happened to mine is correct, the adhesive (I don't know if it was glue or tape) holding clip on the side touching the car failed. 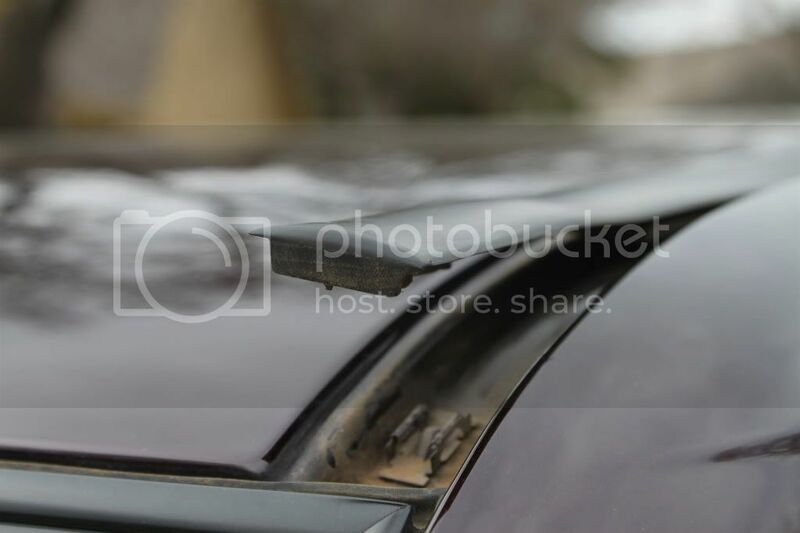 Now that I see that picture again, it may be the rear clip that the adhesive came off of, because it got yanked off by my dad when the trim was dangling on the side of the car. Maybe this is something that even if we fix ourselves should be reported to Toyota/Scion so they can document the problem. Agree....apparently this has happened enough that Scion should be notified. Has anyone reported the issue to Scion USA? i show the part numbers have updated in the system from original. Maybe they've been redesigned. That is what I discovered as well when our jack failed. If there are additional part numbers for the same "part", it is usually because there has been an issue with the original design that resulted in a redesign. Hopefully my son won't have a problem but if he does it is great to know that Scion may be cognizant of the issue already. Good thread. yeah, thankfully in our system it updates it all so if anyone has questions ill be glad to answer them or look up parts. Again hoping I (we) don't have a problem with this part but I will call on you Sam if I do for that info. FWIW I decided to email Scion to let them know about this issue and pointed them to this thread. We appreciate the information provided and we will be sure to look into this concern. It’s through communications such as yours that we become aware of the reactions and expectations of our customers. You may contact us directly at 1-866-70-SCION or by email at Scion.com. It could be they will really look into it, or not. Or, as suggested above, they've already taken care of it. I figured it couldn't hurt though.